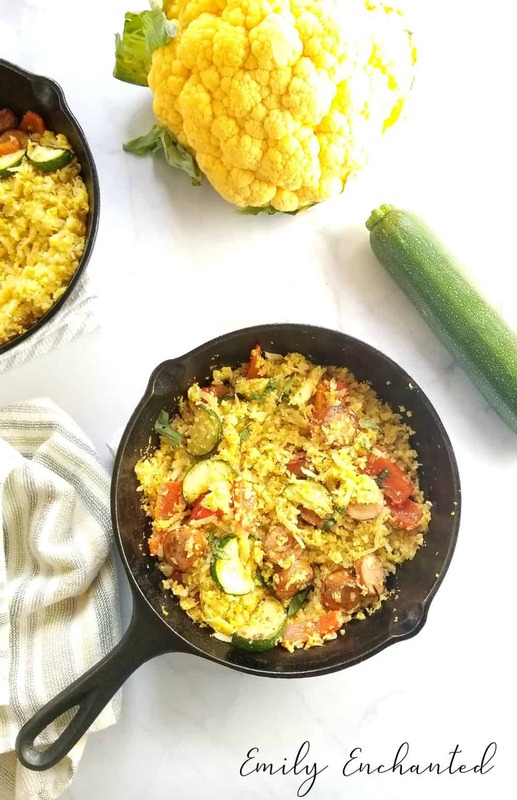 I love a delicious 10 minute skillet meal, and choosing convenience does not mean I have to give up foods that are good for me. 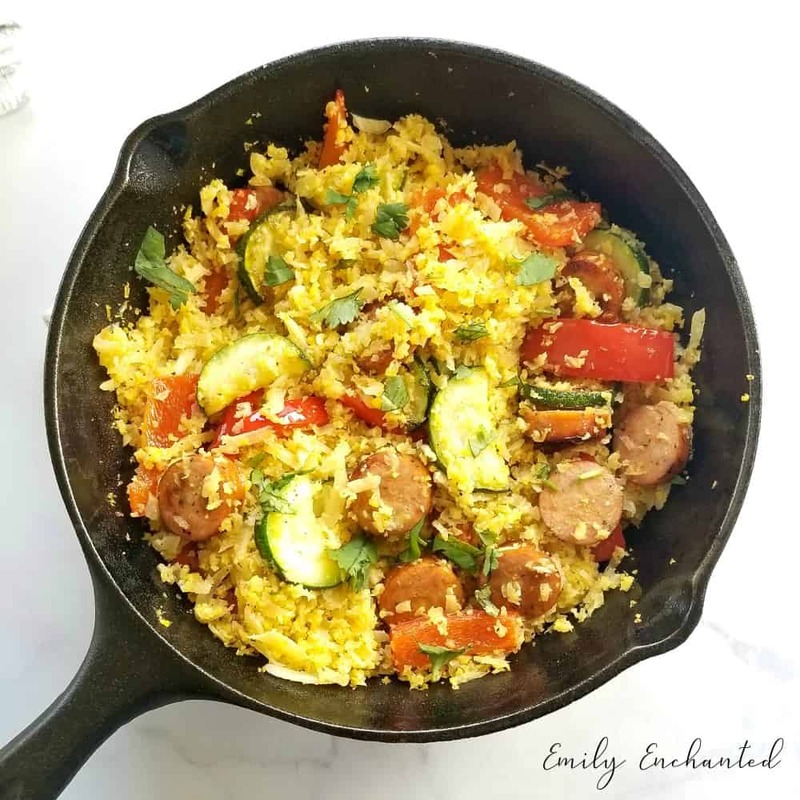 This Chicken Sausage & Cauliflower Rice Skillet recipe is the perfect example. 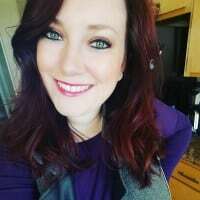 I am making a change for the better by eliminating unnecessary ingredients (bye, cheese) and switching out other ingredients. 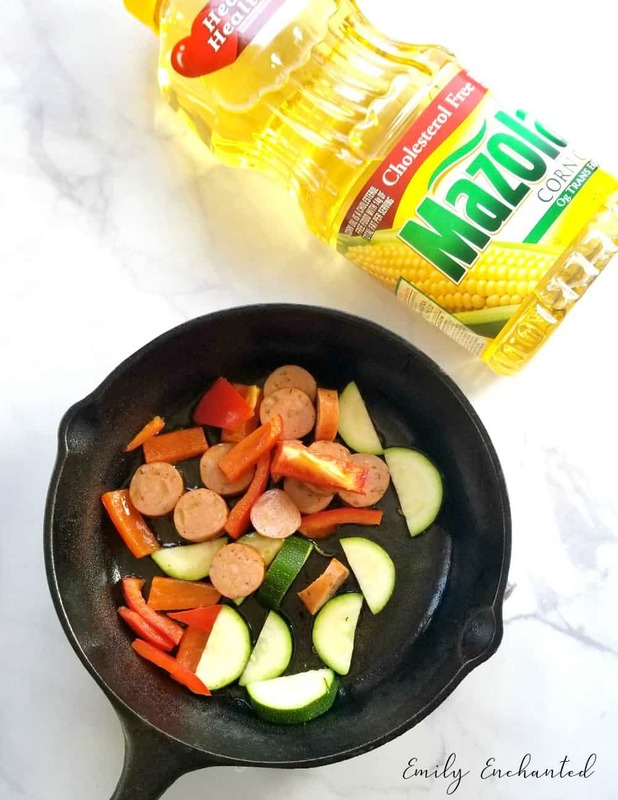 Instead of sauteing ingredients in extra virgin olive oil, I use Mazola® Corn Oil. A clinical study showed Mazola Corn Oil reduces cholesterol 2x more than extra virgin olive oil. To learn more about this claim, see MAZOLA.com. 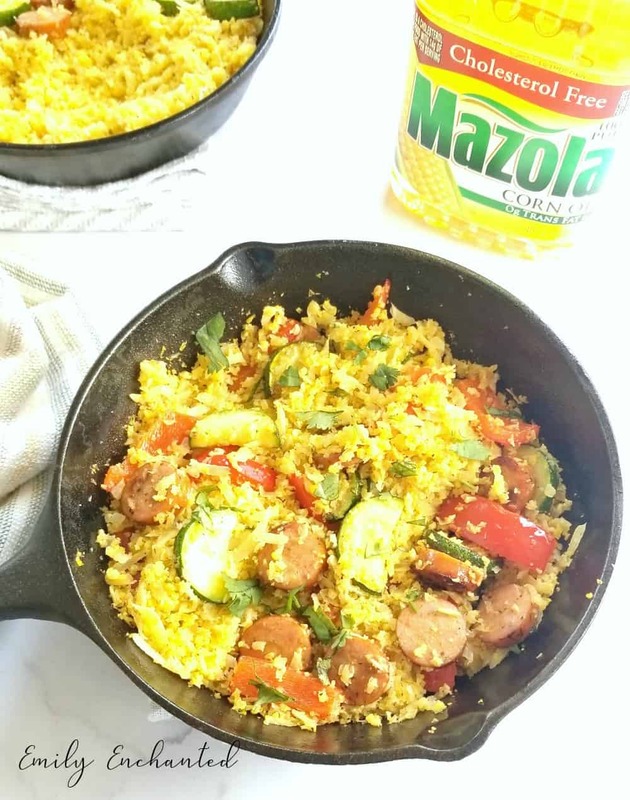 I am also using chicken sausage instead of regular sausage, and cauliflower rice instead of white rice. 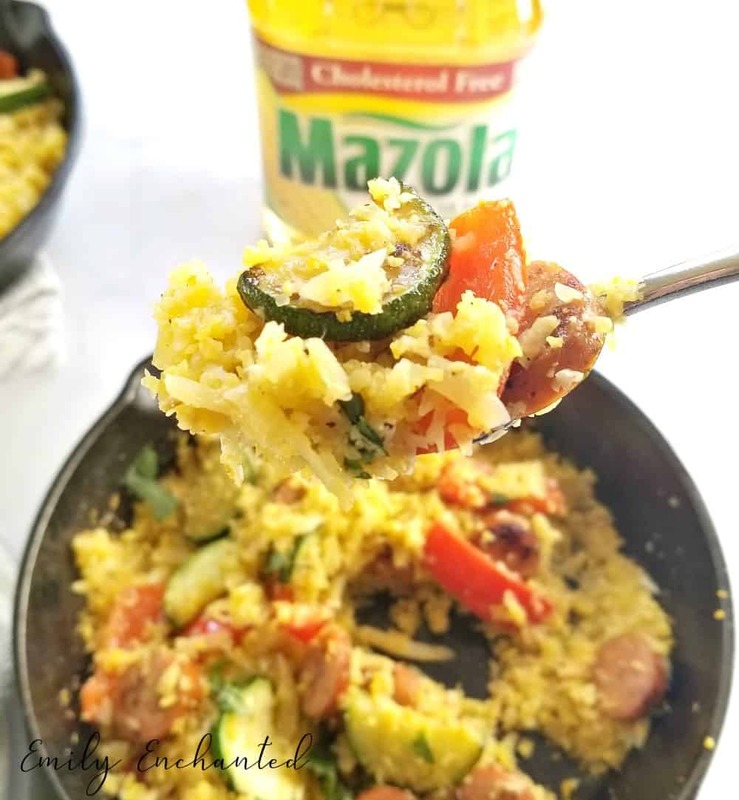 This recipe makes 1 serving and is cooked in an 8″ skillet. 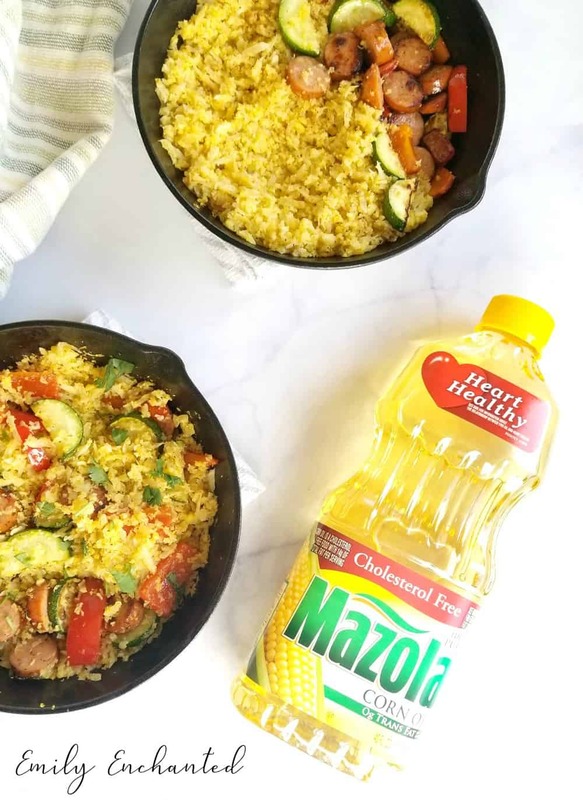 Mazola Corn Oil has so many amazing qualities that make it the right choice over other cooking oils. 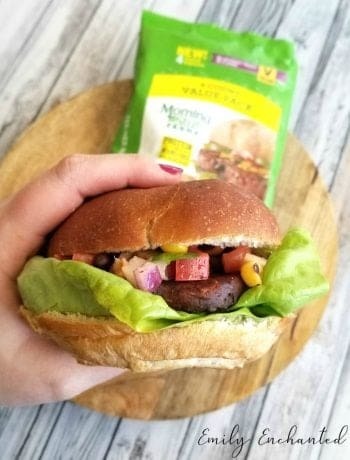 This heart-healthy, all-purpose cooking oil has a neutral taste, which allows the natural flavors of your food to shine through, no matter how you cook it – bake, grill, sauté, stir fry, or mixing marinade. It’s higher smoke point (450 degrees) allows you to cook in all these ways without negatively affecting the flavor and nutritional value of your food. Heart issues run in my family and healthy cholesterol levels are important to heart health. When clinical studies prove something, I listen. Corn Oil has more cholesterol-blocking plant sterols than other cooking oils. Slice the chicken sausage and cut up the vegetables. Place skillet on stove over medium heat. Add 1 tablespoon of Mazola Corn Oil to the skillet. Brown the sausage and vegetables in the oil. Add cauliflower rice and garlic powder. Add salt and pepper to taste. Stir to combine. The rice will soak up the rest of the cooking oil. Once rice is heated through, it is ready to serve. Careful! The skillet will be hot. Use a towel or oven mitt to hold the skillet handle. This Chicken Sausage & Cauliflower Rice Skillet recipe is convenient and healthy.